Presidential candidate Bernie Sanders discusses why should women and the black community vote for him, whether he’s too old to be President, reforming the criminal justice system and much more. Bernie Sanders has a huge support base in the Black community and hip hop including the open endorsement of rapper Killer Mike. 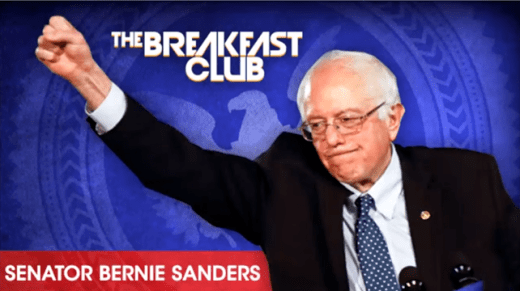 The presidential hopeful recently sat down with The Breakfast Club and opened up about why he should be the next President of the United States. Breaking News: Streetz 94.5 Announces The Breakfast Club is the New Morning Show!